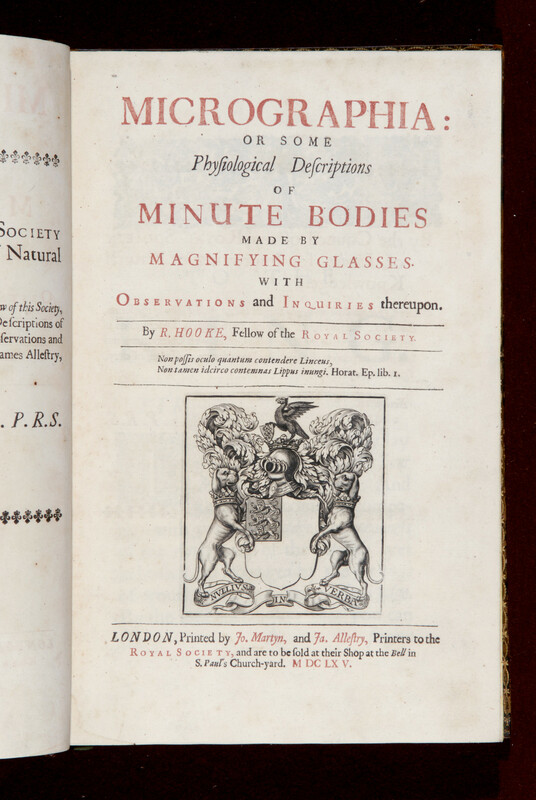 Robert Hooke was a brilliant and energetic experimental philosopher, and throughout his life conducted inquiries into many aspects of physics, mechanics, astronomy and geology. His work on gravity and optics formed an important forerunner to Newton's discoveries, although the breadth of his interests meant that he tended not to form substantial conclusions. In this work, the Micrographia, Hooke used his knowledge of optics to study the natural world. Along the way he provided an accurate explanation of the nature of combustion, and a theory of light as 'a very short vibrative motion'. This copy formed part of King George III's library.